Our team is proud to be Wisconsin’s best one-stop-shop for Adventure Tourism. Whether you want to zip line, aerial trek, drive an argo ATV, or paddle a kayak, we have it all! Since opening in June 2014, we are proud of the high standard of our facilities which ensure that you have the best adventures possible. 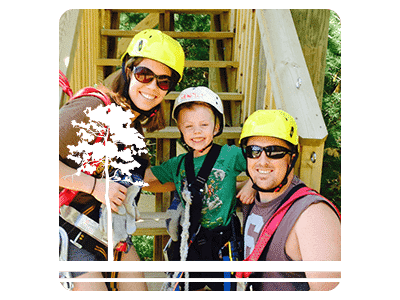 Our prices reflect the high-quality experiences you’re guaranteed to have with us here at Northwoods Zip Line Adventure Tours. This includes the incredible tours themselves, alongside the knowledgeable staff and guides who are here to help you year round. Our team loves what they do and are passionate about the outdoors. This shows in the customer service you will receive both out on the tours and back at the clubhouse! 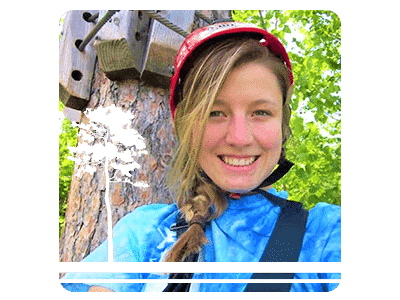 Our priority is your safety and your experience here at Northwoods Zip Line Adventure Tours. So what are you waiting for? Come up and enjoy an exciting and unforgettable adventure! Josh, a Wisconsin native, graduated from college as a Civil Engineer and went straight into an engineering job. After seven years of working in a cubicle each day, he realized that he wanted to be out in the open and be “The Man” instead of working for “The Man”. 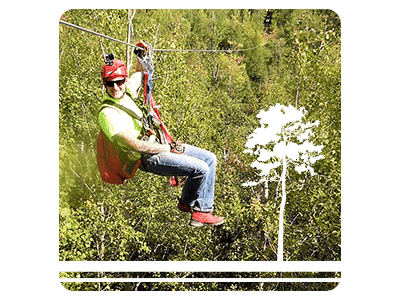 Josh left the day job to follow his dreams and create Northwoods Zip Line, he went on to build the biggest and best zip line canopy tour in Wisconsin and the Midwest! He has expanded the business and now offers countless adventures. When he’s not managing the business, he’s spending time with his wife, Emily and their three boys Sawyer, Hudson and Boone. Adam is instrumental to our business. Adam played a key part in the construction of our facilities including the Zip Line Tour, dual race zip, clubhouse and much more. He’s one of the hardest workers around and takes every chance he can to come visit us whenever we need his expert construction skills. Back home, he owns a landscape business, so is usually pretty busy! When not working, Adam spends time with his lovely wife Heidi and three kids Griffin, Shyan and Finnley. 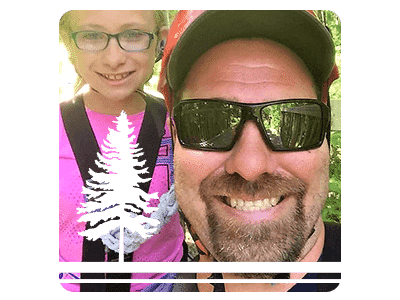 Adam and his family love the Northwoods, they come down as often as possible to enjoy the activities available here. Andrew joined us after deciding that corporate life in Minneapolis wasn’t his cup of tea. Here at Northwoods Andrew oversees all daily operations and ensures that we offer the best tours around. Alongside his management experience, he is passionate about the outdoors. From a very young age, Andrew was enamored by nature. Andrew grew up in Northwestern Illinois surrounded by farmland, while also enjoying regular vacations at the family cabin on the Mississippi River. If you can’t find Andrew at work, we bet that he will be exploring local forests, waterways and coffee shops. Ashley is our beloved office manager. She’s with us throughout our most popular months and heads off to Colorado for winter, where she is originally from. Ashley is in charge of all things office-related, ranging from managing our reservation system to answering your enquiries. If you call us to book a tour, to get more information or just for a chat, there’s a very high chance that you’ll speak to Ashley. She definitely knows her stuff, she’s been coming to the Northwoods every summer since she was three years old. Ashley first came to us as a guest to do our Zip Line Tour, she actually ended up loving it so much she decided to join our team! Guy, a well-loved Northwoods local has been with us from the start. 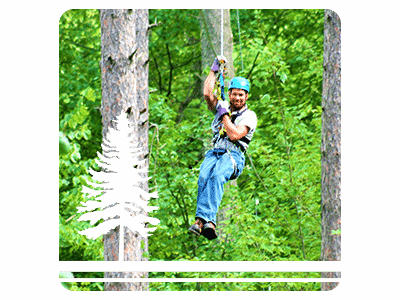 Guy is in charge of all our zip line guides, which includes training and certifying them all. He takes great pride in inspecting and maintaining all of our facilities, ensuring that they are at their very best. When Guy isn’t at work, you’ll most likely find him grilling out or besides bonfires. If not, we guarantee he will be on his boat or whizzing around on his motorcycle! This Northwoods local is also known for his famous “dog bark”. If you’re lucky enough to get him as your guide for your activity, you’ve got to ask him about it!